Time for a new bike! 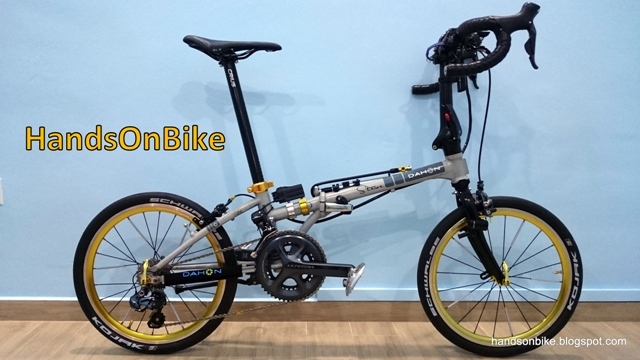 I have owned and modified many bikes, but have never owned or modified a Brompton before. 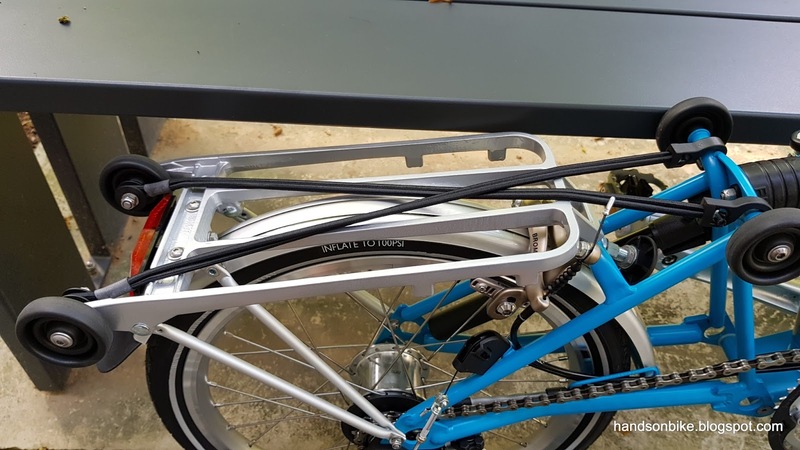 Before this, I never had a need for a Brompton as I have my other Dahon folding bikes if I need a compact fold. Now, I plan to put a child seat on a bicycle, and I have thought about which of my bikes to put the child seat. 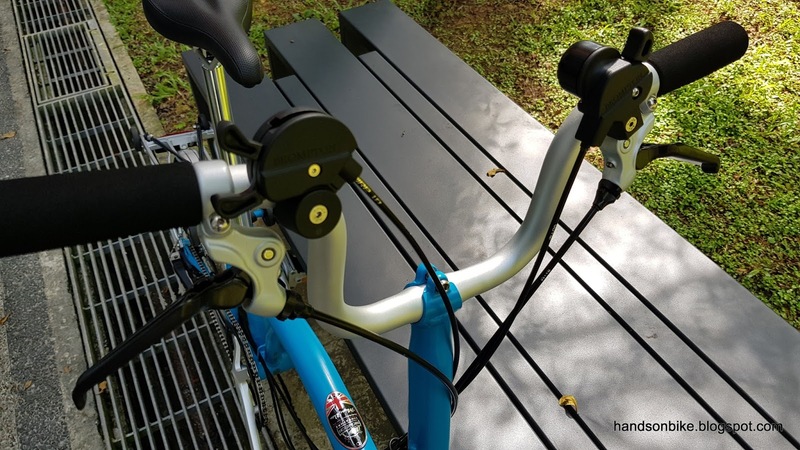 I prefer to have the child seat in front of the rider, which means that all the bikes with drop bars are out. 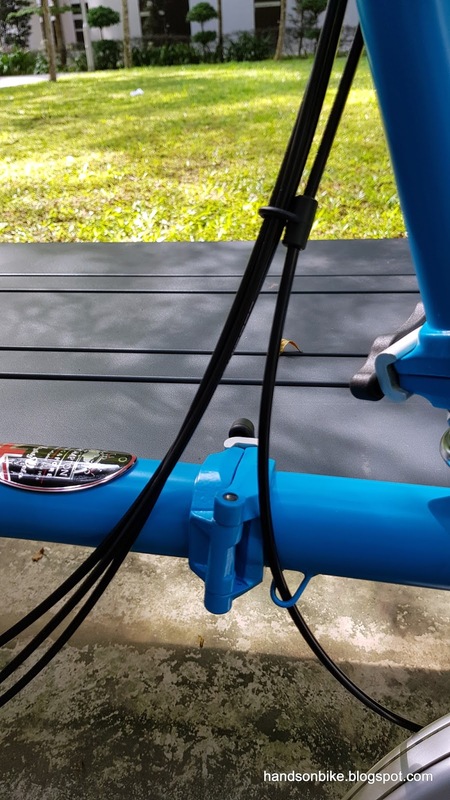 This means that the Java Freccia mini velo, Merida Scultura 5000 road bike and Avanti Inc 3 cannot be used. 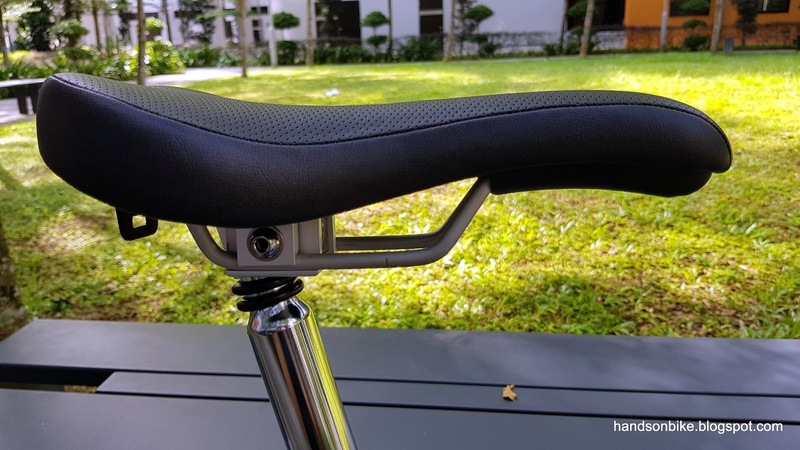 As for the Dahon MuEX or the Dahon Vitesse, only rear placement child seats can be installed on the seatpost, which will add on more weight to the rear of the bike and possibly make it easier to tip over backwards. 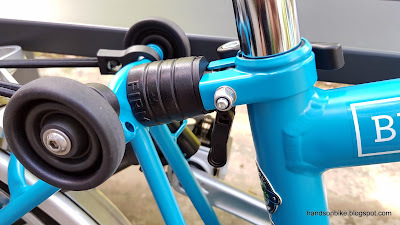 Also, it will be good to put the child's weight at the front of the bike to balance out the rider's weight, instead of adding more weight to the rear of the bike. 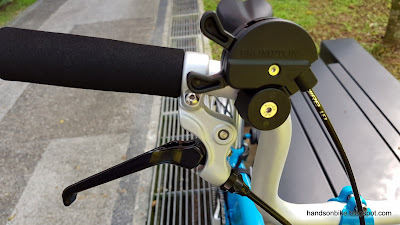 Then, I came across the Bobike child seat mounted on the Brompton, and I knew that it was the one that I wanted. 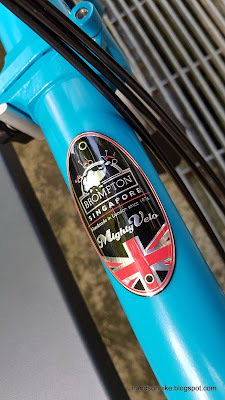 Problem is, I did not have a Brompton. 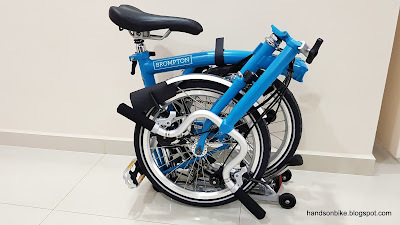 I considered getting replica Bromptons such as the Cigna or the 3Sixty, but I was not too impressed with the folding which is still not good enough. 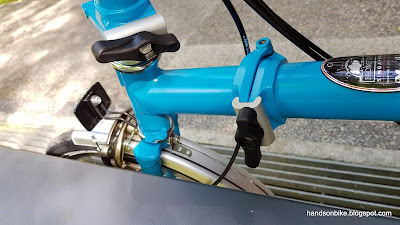 Besides, I was reminded of the Flamingo bike that I had previously which was a Brompton replica, and it was just not good enough. Instead of having to fix problems here and there from getting a replica bike, I decided to get a real Brompton and also get a chance to study the real thing. 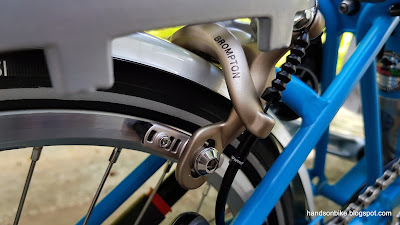 Initially, I had considered getting a 3 speed Brompton, but 6 speed Bromptons are more common. Besides, no harm having more speeds just in case I need to climb up slopes with extra weight from the child. I also considered getting a second hand Brompton, but since I was totally unfamiliar with a Brompton, I am not sure what to look out for when getting a second hand Brompton. 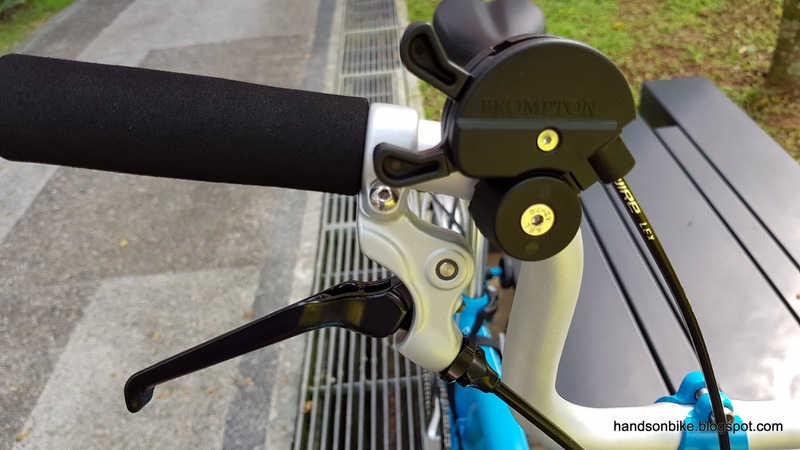 There are many proprietary parts on a Brompton, and replacements can be hard to find or are costly. 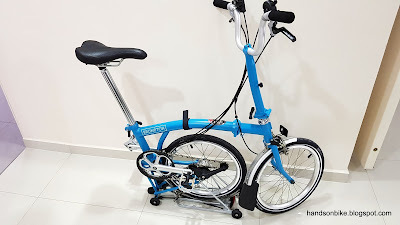 Therefore, after checking out the bikes at the local distributor, I finally committed to getting a new Brompton M6R. There was also a choice of getting the pre-2017 models, or the new 2017 models. 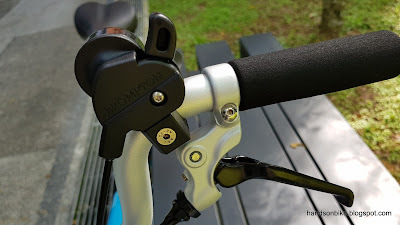 For me, the main difference was the shifters, where I liked the 2017 shifters just a little bit better. 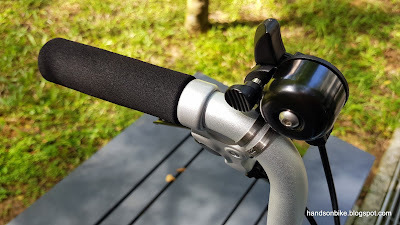 However, the price difference was $500, which is a lot just for different shifters. Therefore I got the pre-2017 models which are less expensive. 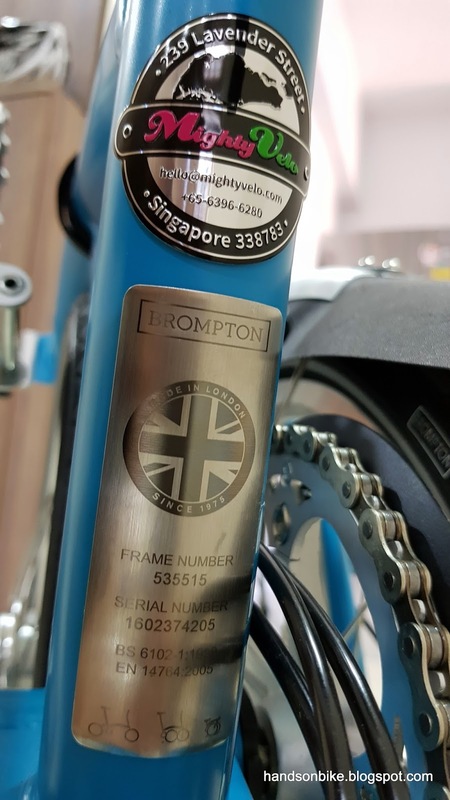 Brompton M6R in Lagoon Blue on all frame parts! 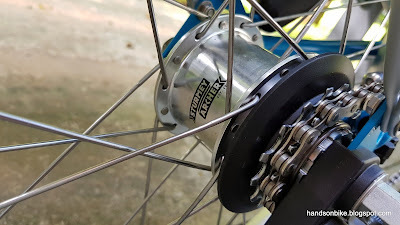 3 speed shifter for the Sturmey Archer hub. At least the brake levers are nice. 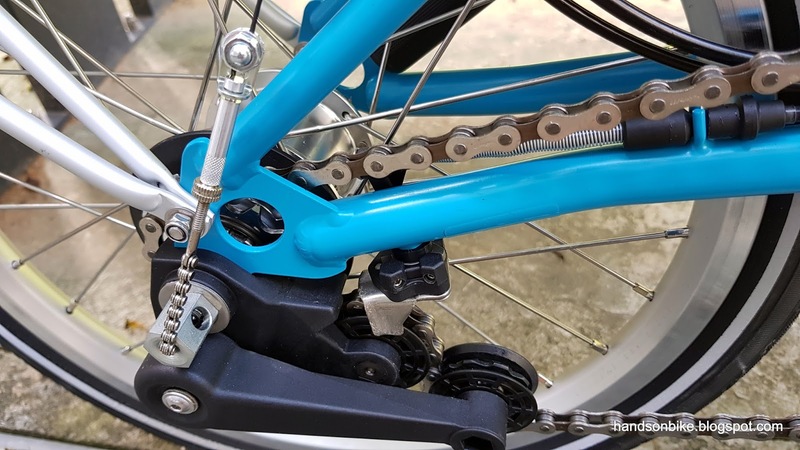 2 speed shifter for the 2 speed rear derailleur. 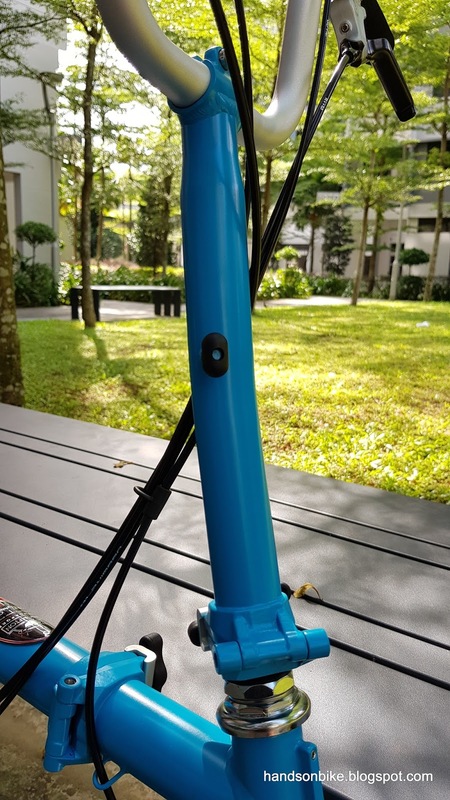 Foam grips, not so nice. Rear drivetrain and shifting components. Looks rather haphazard with lots of exposed bits. 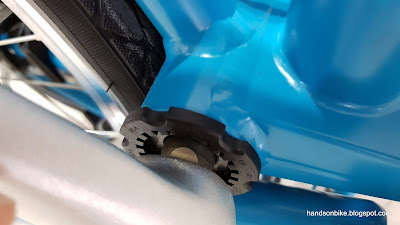 Rear caliper brake. 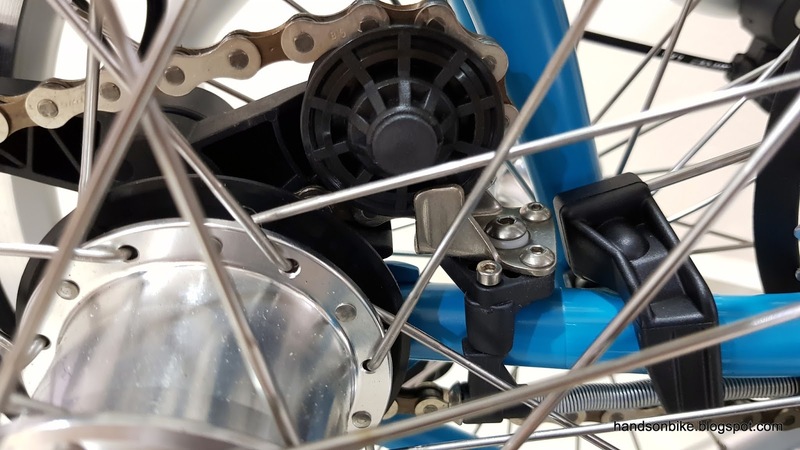 Note that both caliper brakes have cables that route from below instead of from the top. Brompton fully folded. Very compact! This bike will be mainly used to carry the child when I cycle, so that everyone can ride together. 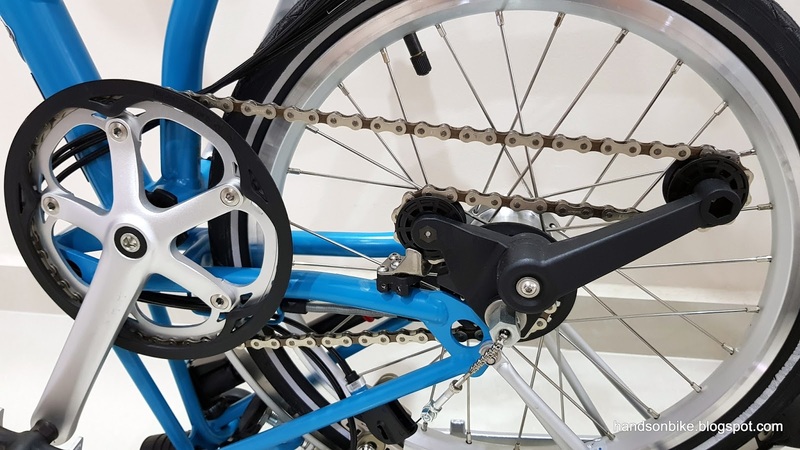 Cutting weight from this bike is not necessary as there is not much point. 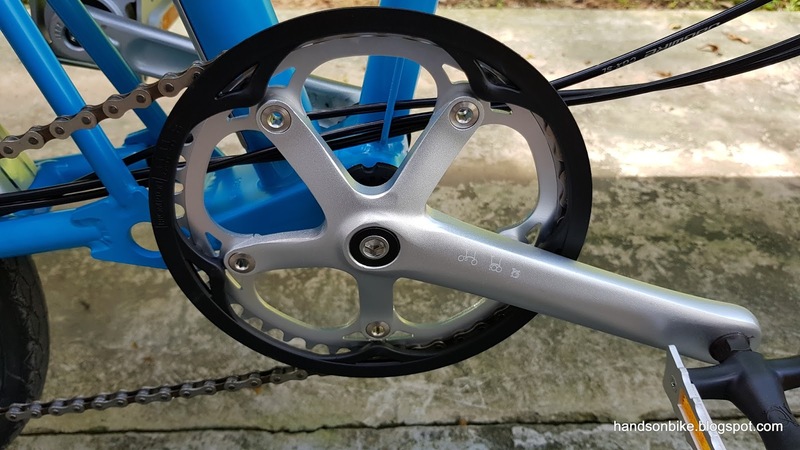 Reason being that this bike has a heavy steel frame, and so any weight savings from components will be quite insignificant. From my experience, reducing the bike weight from 12 kg to 10 kg does not make a big difference, as it is still relatively heavy. 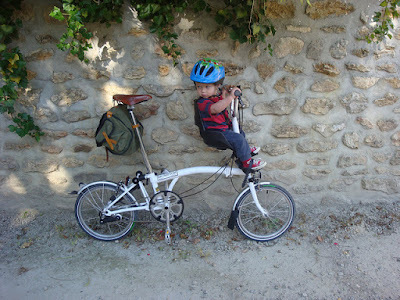 Also, putting a child of 10+ kg onto the bike will negate any weight loss. 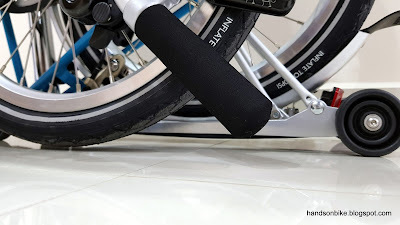 Lastly, there is no need to carry the bike when folded, as I can roll it along most of the time. I have already identified a few areas on the bike that can and should be improved, and these upgrades will be made soon. 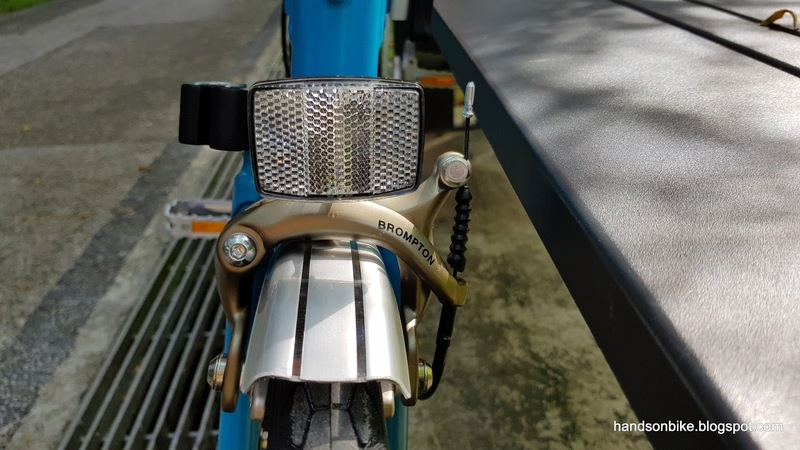 These upgrades will not make the bike any lighter or ride any faster, but are mostly cosmetic and functional upgrades. 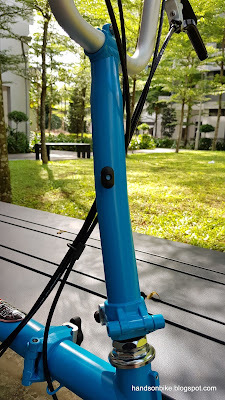 Really love your blog-posts and all the upgrades, very inspiring. Can't wait to see upgrades to the brompton. 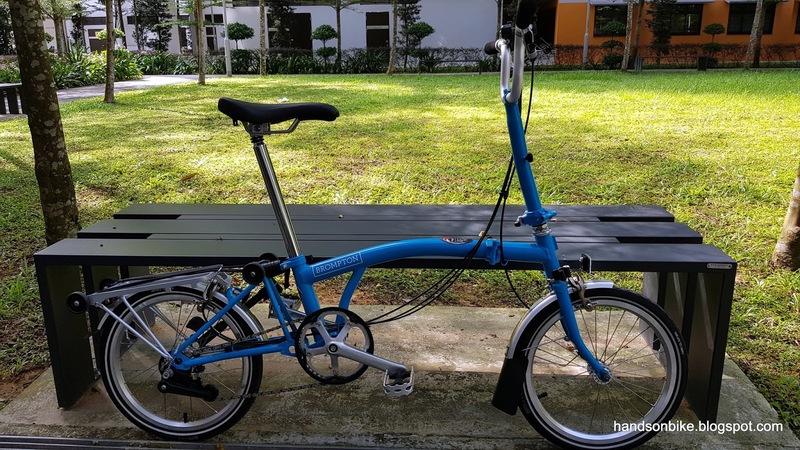 On a side-note, I do have a Dahon Route which I really like and I've been thinking of upgrading the wheel-set to wheelsport sunny or something similar. Typically, can I still use back my existing cassette or really die die must upgrade? The bike shop quoted me at least over 600 bucks for the the upgrade and thinking over it, it's like I rather put in a bit more money and get a new bike altogether. Just a tad bit lost here right now. 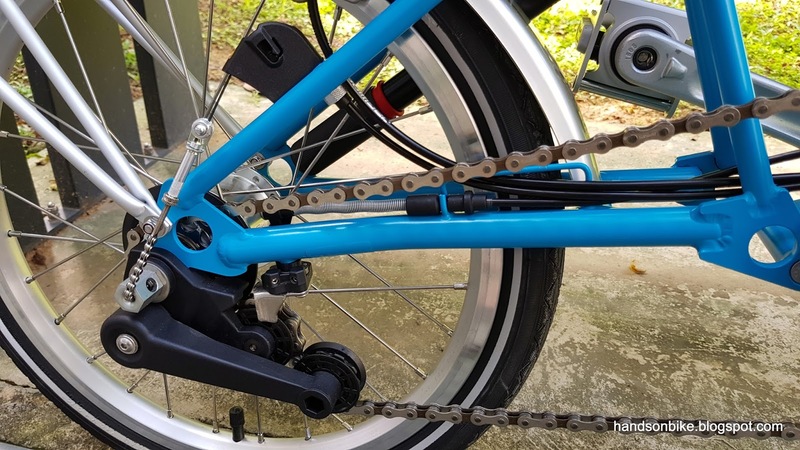 If I'm correct, Dahon Route is 7 speed. Can't upgrade much unless you change the wheelset, and the Wheelsport Sunny cost about $300. Add in the other components and it will add up quickly. 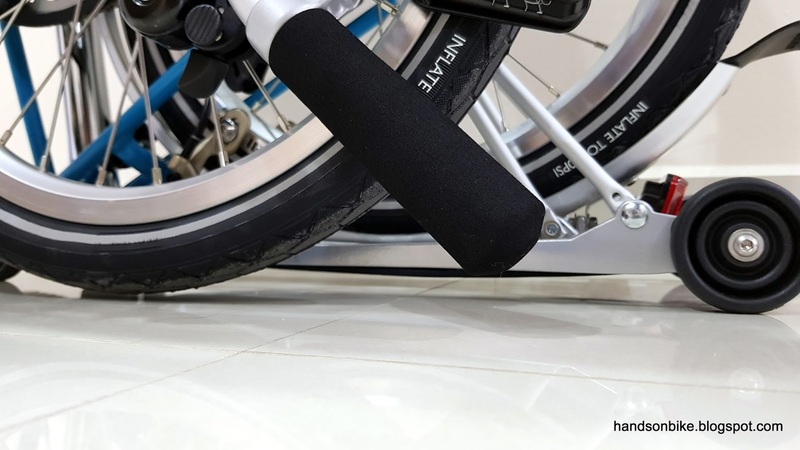 It is similar to my Dahon Boardwalk upgrades. 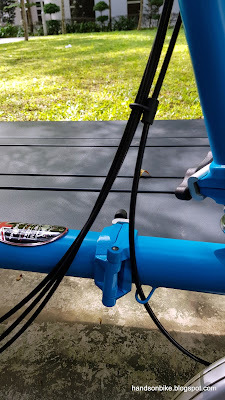 More worth it to get a new bike. Hey thanks for the reply. 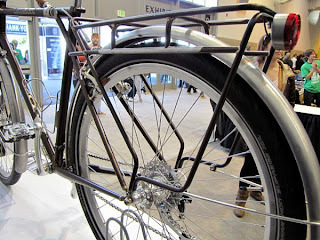 I've also thought about it and maybe I'll just get a new bike :) Am also thinking about a Brompton. Hi Steve, a Brompton is very good indeed. May wish to have your advise on whether a Fnhon Gust 16" folding bike with 9 speed shimano sora and litepro parts about $570 is worth? 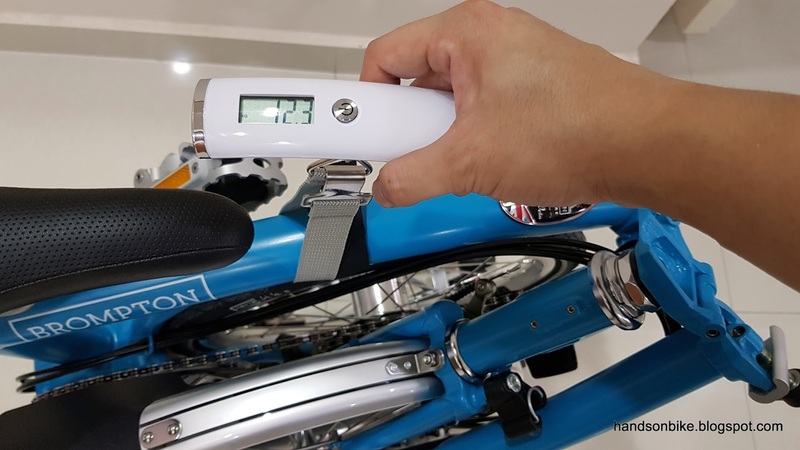 And can it cycle easily and cruise at about 15 - 25 km/hr? What are your other advise on price worth and performances if I get this compare to other branded 16" /20" ones. I think that price is ok for the specs. 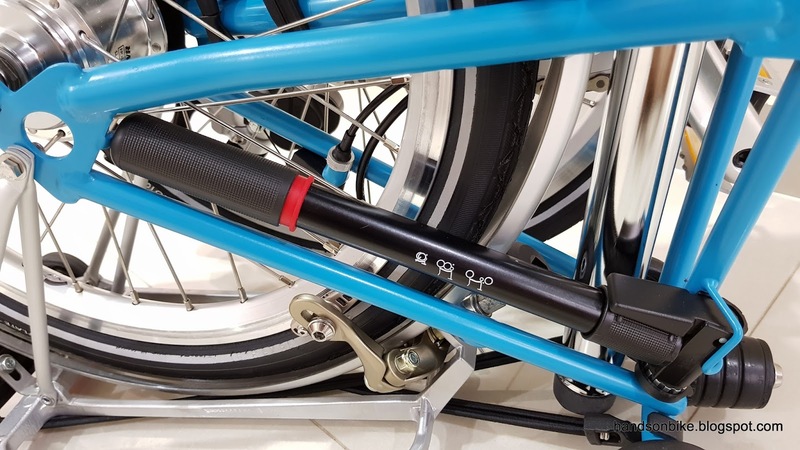 cycling will be quite leisurely, probably can cruise at 20 km/ h quite easily, but takes more effort at 25km/h compared to bigger wheel bikes. If you don't need the compactness, I suggest getting a bigger wheel bike. Thanks Steve for your advise. I may not need that compact folding indeed. 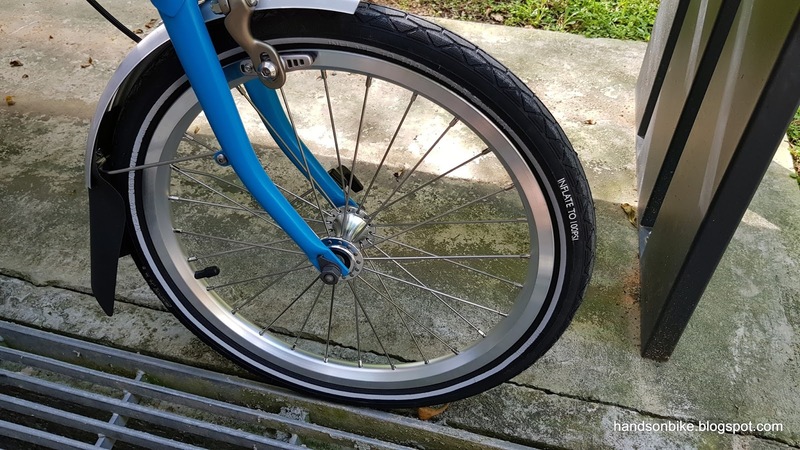 I will look into other 20" wheel bikes then for easier to cruise at about 20km/hr.